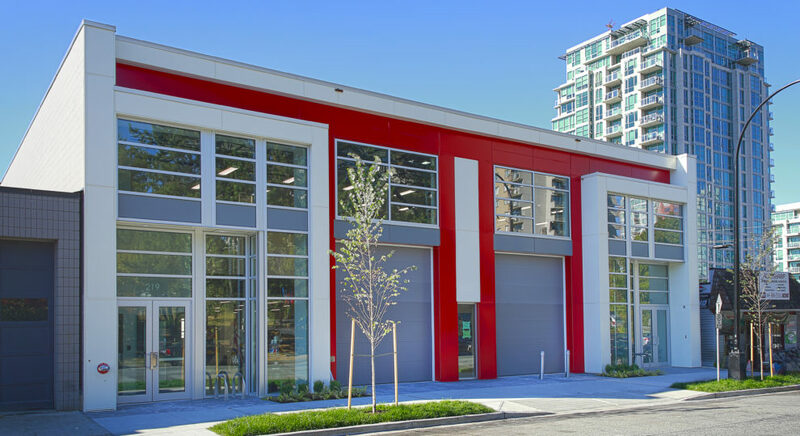 Paper Tech Building 217/219 East 1st St, North Vancouver, BC – PC Urban Properties Corp. This formerly undeveloped property mid-block between St. Georges and St. Andrews Avenues offered direct access to Esplanade, the Low Level Road and Lonsdale Avenue. It is within walking distance of shops and services, Lonsdale Quay, the SeaBus, and the Spirit Trail. This project was developed as a build-to-suit for a local North Vancouver company and was completed in 2017.